Real Neat Blog Award, congratulations to my 16 nominees! Blogger Recognition Award, thanks Cosmic Explorer! 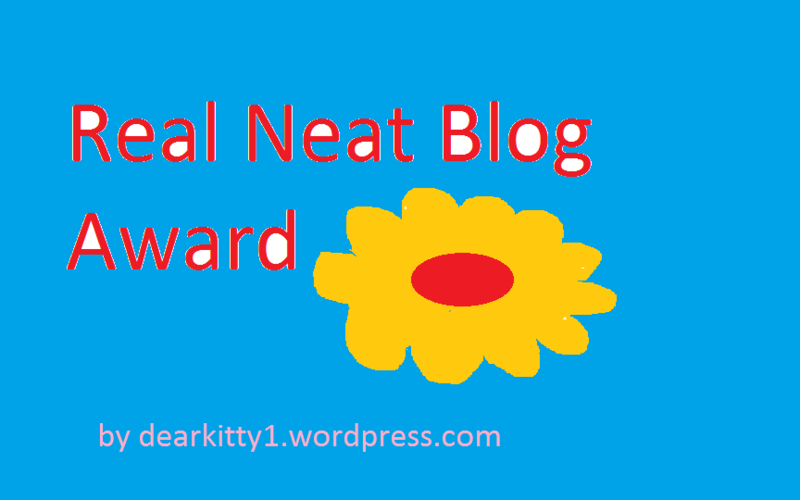 Real Neat Blog Award, my congratulations for you! Thank you for the nomination. Been spending some quality time with the family today but will get to those questions.